Here’s an idea so brilliant, it makes me angry that I didn’t think of it first myself. 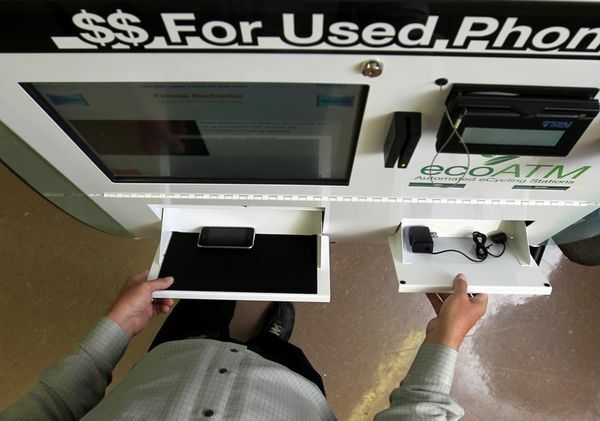 ecoATM is a stand-alone machine that users can go up to and “deposit” their old mobile phones, MP3 players, and other useless electronic gadgetry in exchange for cold, hard cash. The machine is automated and can distinguish between 4,000 different types of electronic devices, yielding 97.5% accuracy to give the user the right amount of money. What’s more, the machine can tell if the device is cracked or broken, and will adjust the payout accordingly. So how’s it actually work? The user just walks up to the machine, places their device into the kiosk, and a visual scan runs over it to identify what kind of gadget it is. 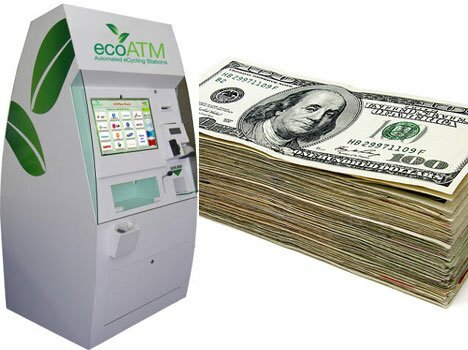 If it’s a device it can take, the machine provides the user with a connector cable to link the device to the ecoATM network, where the value is determined over the course of a few minutes. After that, cash is either dispensed or the user can choose to donate some of the money to a charity. The obvious question at this point: how much money can you get out of doing something like this? According to the company, some phones are worth near $300 in the machine, and one of industry’s best portable speakers will turn provide the user $5 million (okay, that might not be true). Worth noting: around 75% of the gadgets that go in to the machine will go to a new owner, while the rest get recycled. ecoATMs are already in place all across the country and you can go to their website to see if there’s one close to you. The company hopes to have 300-plus machines in shopping malls and large stores by the end of the year, and is looking to get into the international market in the future.